Nicola went through this exact experience. She didn’t know who exactly she wanted to treat so she ran this generalized practice until one of her mentors told her there’s no one really working on Lyme disease so she should get into it. You’ll hear throughout the interview that it wasn’t necessarily her true passion to treat the Lyme community, but she found a way to niche her market and grow her practice. It’s a very interesting journey that she went to and I wanted to share that here on this podcast because I know so many of us feel we need to figure out exactly who we’re going to treat right away, but you just don’t know the path your business is going to on to get there. It’s about being open to the evolution of your business and letting things happen over time. How does a practitioner figure out who their patient is? What were the steps you took to grow your business? How do you mentally prepare yourself when treating something like Lyme disease? How do you work through not having enough clients or not having a busy practice? What else have you found to be useful in leveraging the revenue in your business without taking more of your time? 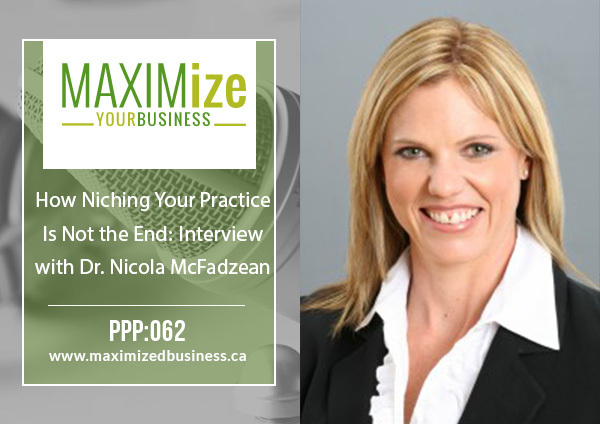 How Nicola found her specialty or niche. What Nicola does to network in her field. How she managed to work with clients through the business side of things. Tips for time management and where to focus one’s time when building a practice. What Nicola does to deal with clients canceling appointments.